In Peru, members of the community of Segunda y Cajas have passed another milestone on the road to creating a new private conservation area (Area de Conservación Privada or ACP). 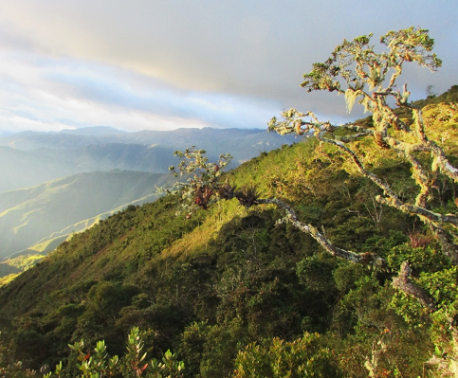 World Land Trust (WLT) is working in partnership with Naturaleza y Cultura Peru (NCPeru) to support the community of Segunda y Cajas, in Huancabamba, northern Peru, to fulfil all necessary requirements to recognise an ACP. The ACP application must include biodiversity reports, maps and details of conservation objectives, commitments and indicators for monitoring success. Collating all this information is a huge task, and one that requires the combined efforts of community members and conservationists. NCPeru has now received approval for this application process following a verification site visit from an official of Peru’s National System of Protected Areas (SERNANP). A culmination of many months of concentrated effort, this visit took place in late December 2015. NCPeru representatives coordinated the visit and accompanied the SERNANP official to a meeting with community authorities. Once declared, the official name of the Segunda y Cajas ACP will be Bosques Montanos y Páramos de Chicuate Chinguelas or Chicuate-Chinguelas, for short in honour of two of their influential Apus (spirits in traditional Peruvian religion and mythology). NCPeru is optimistic that the ACP will be officially recognised in the first half of 2016. In June 2015 David Wright, WLT’s Head of Programmes and Charlotte, WLT’s Conservation Programmes Coordinator, visited Segunda y Cajas to monitor the progress of the project. 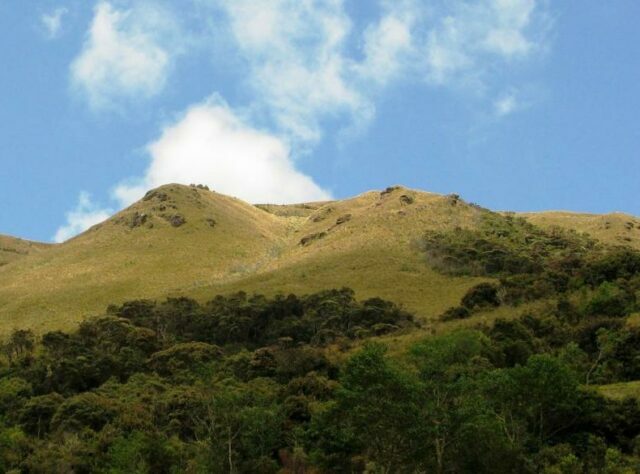 Segunda y Cajas is home to the largest cloud forest in the Piura department of northern Peru. And because of its location at an altitude of between 1,600 and 3,800 metres above sea level, the area contains a biologically rich mix of flora and fauna from both the high Andes and the upper Amazon basin. As well as sheltering a wealth of biodiversity, the conservation area has a strategic importance because it lies between Tabaconas Namballe National Sanctuary in Peru and Yacuri National Park in Ecuador. 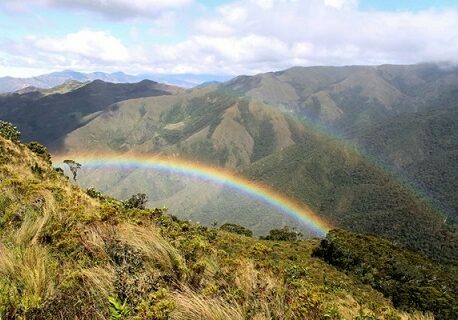 Since 2014 NCPeru has been devoting its efforts to protecting the cloud forest and páramo in the corridor between the two national parks. An ACP is a type of protected area – owned by an individual or community – that is complementary to Peru’s national system of protected areas. Under the ACP, landowners voluntarily accept terms and conditions of use that are recognised by the government, with a view to ensuring the conservation of biological diversity, landscapes and environmental services. ACPs are zoned into areas of strict conservation and areas of sustainable use (agriculture, cattle ranching, tourism). Agreeing these zones is a major task as it involves building consensus within communities which are often scattered across large areas. WLT and NCPeru are supporting three communities including Segunda y Cajas to complete the ACP application process. Once the three ACPs are formed, around 100,000 acres (over 40,000 hectares) will be legally recognised by Peru’s National System of Protected Areas. WLT is using donations to the Action Fund to support community consultation as part of the ACP application process. Funds are also being used to support technical training in sustainable farming methods and reserve management to support ongoing protection. You can support conservation work in Peru by donating to WLT’s Action Fund, and specifying in the comments box that the donation is for Peru.